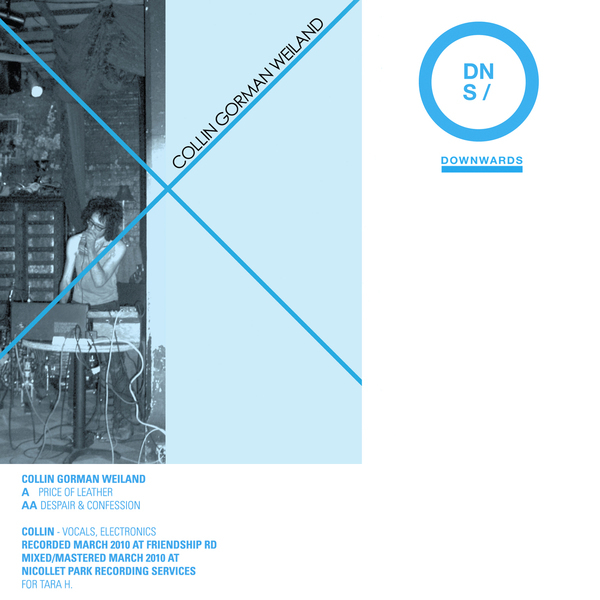 Downwards uproot a fine clod of propulsive drone noise from one Collin Gorman Weiland. 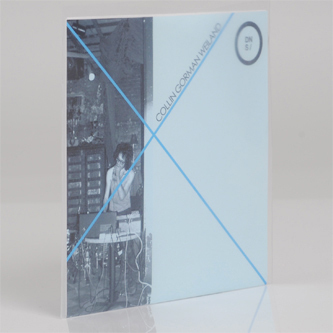 Apparently signed on the spot at a gig in the North East (we're assuming of England, probably like Houghton Le Spring or somewhere), he follows in the freshly trodden footsteps of Six Six Seconds to release a brilliant debut on the Regis-curated label. A-side 'Price Of Leather' attains a pummeling attack velocity of industrial rhythms and sludgy, crooked kosmische spirals and the flipside 'Despair And Confession' zones out to gunkjack machine throbs and walls of welting distortion. "Mad youth for the traumatic age". Sick... don't miss.